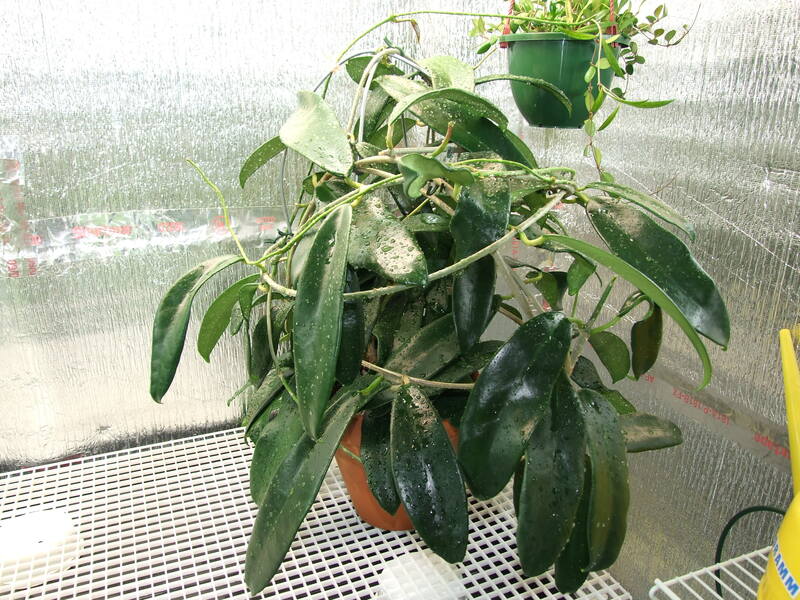 Hoya meliflua ssp. fraterna has extremely large leaves that match the size of its name. I have never seen it bloom in the four years that I have had it, and recently learned that it is very difficult to get to bloom. I keep this plant around only because the leaves are very cool to look at. 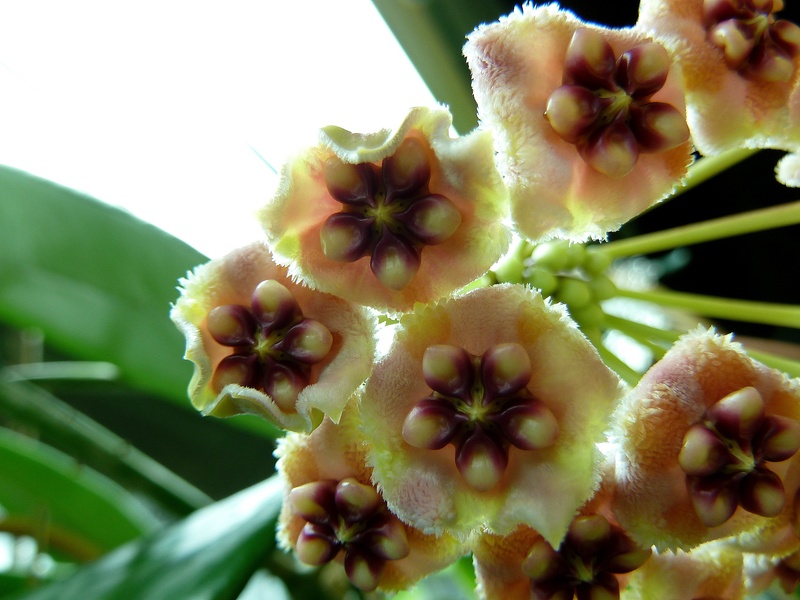 I tried it in the main house, and it quickly went down hill without the humidity of the plant room – I had to move it back in. 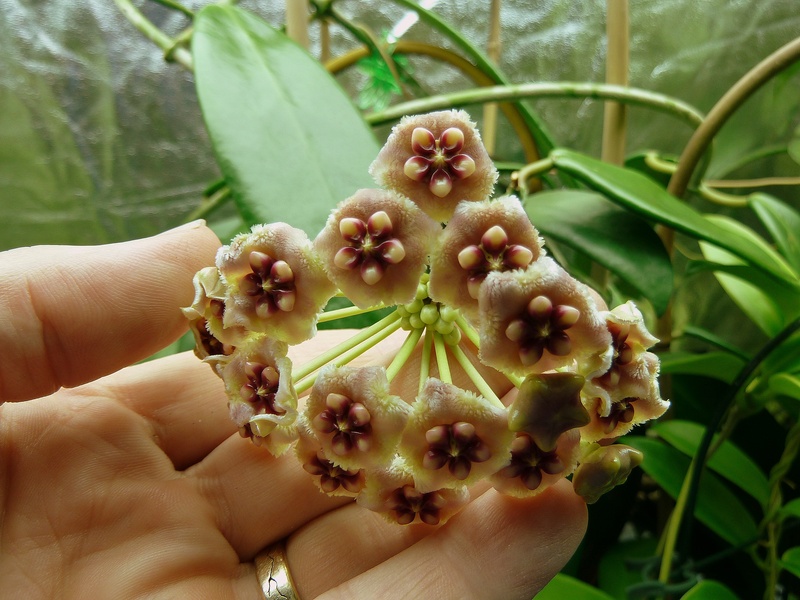 If you are looking for a large leafed Hoya that is a real challenge to bloom, have the heat, and humidity to spare, this could be a good plant for your collection ! 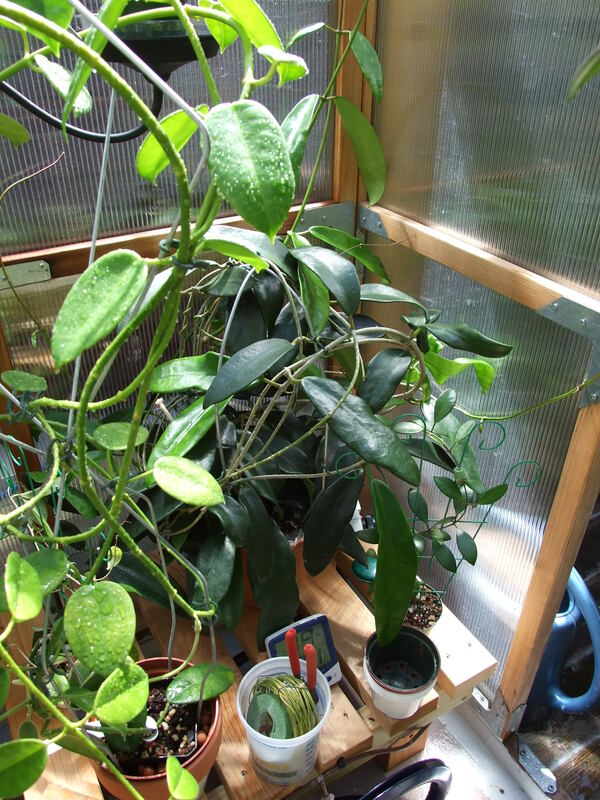 Update: 10/13/11 I just managed after four years of hard work to bring this plant into bloom. It finally happened in a artificially lit grow tent.